The numbers for 2018 are coming in, and it appears the video game industry is getting along just fine. The year turned out to be an alright one for the industry, and it upends predictions that the focus on revisiting older games via remasters and nostalgic re-releases would put a crimp on things — namely, um, my own prediction. It’s not exactly a secret that the video game industry has a passion for repackaging old games to re-sell them on new machines. It’s not new: I’m old enough to remember when it was arcade games cropping up on the Nintendo and Sega consoles. But the predilection for remasters and re-released games has spiked in the last few years as game companies have fallen on the trend with the enthusiasm of prospectors on a vein of gold — and for much the same reason. Now not only do we have video game remakes, and re-releases, we even have video game consoles being given new life. I was the one who doomsaid the topic of gaming nostalgia. Specifically, I said it “wasn’t doing the industry any favors” and if pressed, I’d have said this is the year that the gaming industry would start feeling the pinch — specifically because this trend began a few years ago and I was afraid we’d run out of things to remaster. And I wanted to say… I was wrong, at least somewhat. That’s… honestly kind of staggering. I’m not normally one to set store by sales figures alone, but it’s hard to ignore numbers that big. And it seemed everyone had a good year. Even Microsoft, which posted negative hardware numbers (not a surprise, given how the Xbox One always seems to play third fiddle to the PlayStation 4 and the Nintendo Switch), revealed this week it’d clawed its way to an 8 percent revenue increase thanks to Game Pass, Xbox Live users, and third-party software sales. So where are these returns coming from? Here’s something I neglected to take into account, when I reacted so negatively to the upswing in retro games and consoles: That these remakes and re-releases and nostalgia consoles serve the purpose of bolstering a now-stretched console lifespan. The PS4 and Xbox One have been out for quite some time and several first-party developers are allegedly turning their attention to the next generation. There’s a certain risk to making a game for a console so late in its life — depending on how fast gamers adopt the new generation of consoles, you might be at risk of a curtailed sales window. But if you’re re-releasing an old favorite, then you’re releasing something with a proven chance of success. 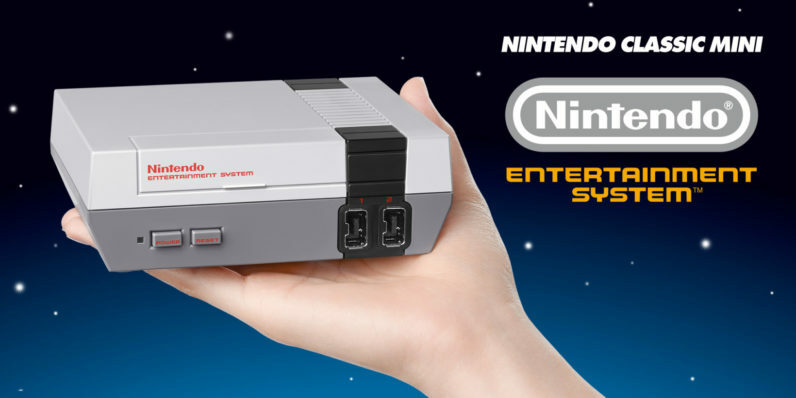 Had a few questions on Plug N Play – The NES Classic Edition was the best-selling Plug N Play system of December and 2018. Only the Switch 32GB Neon Red/Blue Joy Con item sold more units of hardware in 2018 than the NES Classic Edition. …given the dramatically lower development costs when compared to new game development, the ability to outsource porting to speciality houses which frees up internal development resources to create new games, and the ability to mitigate risk since a clear demand pattern exists to determine which games should be remastered, the benefits of the practice are readily apparent to publishers. I also assumed the impetus for this was coming from the developers eager to wring a few dollars out of their otherwise-dead franchises. And I’m sure that’s still the case, especially now that several remasterings/re-releases have made bank. But I can’t deny now that the reason these games exist is not because the industry created a market — they responded to one. We knew that there was a passionate audience out there for Crash…. but we had no idea – it’s hard to tell whether that’s a vocal minority or whether that’s a real mass audience until you put something out there. And Crash has surpassed all of our expectations by a pretty wide margin… This is a strategy that clearly has our attention. Clearly, there’s a place for remasters and retro consoles in the industry’s machine-like schedule. But my biggest concern still stands: this is really only a trick you can pull once. When the next generation of consoles comes around — Project Scarlett, PS5, etc. — will we have another batch of remakes, re-releases, and nostalgic HD collections within the next five years? Who’s going to want to buy the entire Yakuza series yet again, for example, when the new console comes out? There are only so many old consoles — how long before we get to the Wii Classic and hit a wall? And there are a few worrying signs, I’m not gonna lie. For example, the PlayStation Classic posted only lukewarm sales, compared with the NES and SNES Classics. This could be due in part to a comparatively disappointing slate of games coupled with a much higher price than others in its weight class — retailers have since dropped the price from $100 to $60. Every gravy train comes back to the station eventually, and I still worry that consumer patience with gaming nostalgia will someday run out. But it appears the bill isn’t going to come due quite so soon as I believed. I can say one thing for game developers and hardware makers: they do know their audience.